The best flies become classics simply because they work. 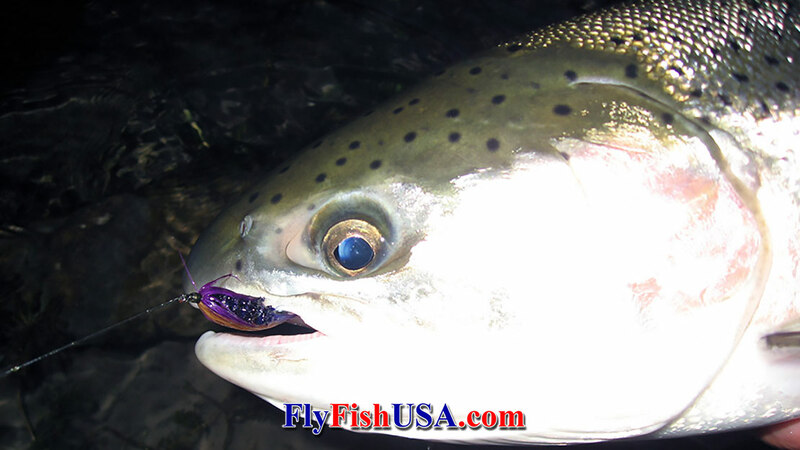 The Purple Peril is one of those flies that seems to take steelhead from varying watersheds and under a wide range of water conditions. First tied by legendary Northwest Washington angler Ken McLeod in the mid '60's it has taken steelhead from California to British Columbia. 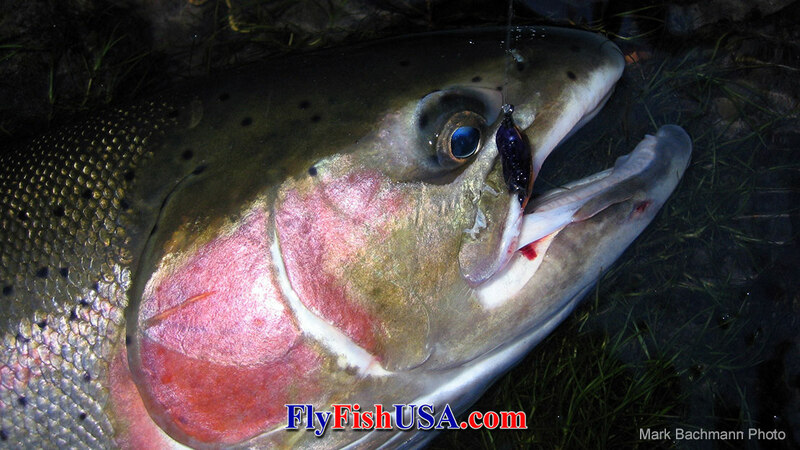 This somber colored fly is particularly reliable for Redband Steelhead in the Columbia River tributaries east of the Cascade Mountains. As fly tiers turn more to the glitz and glitter of synthetic materials to create their "magic-bullets", the Purple Peril remains as proof that bright colors and lots of flash aren't always the ingredients for success. Many takes on the Purple Peril are very soft. The fish is just there with no perceptible shock. This leads me to believe that many of these fish would have been too timid to respond as favorably to a brighter fly. Common Sizes: This fly is most often used in sizes four and six in rivers like The Deschutes, John Day, Grand Rhonde and Clear Water, although anglers use Purple Perils as large as 2/0 in the Clear Water and in some British Columbia Rivers. My experience concludes that dark purple materials tie more successful Purple Perils than bright purple materials. I choose purple hackles that are died over brown rather than white feathers. This give the fly a deep, dark purple shade. A plump silhouette achieved with a medium fat chenille body is proven. Size #4 and #6 flies are dressed with #14 tinsel. Size #2 flies are dressed with #12 tinsel and larger flies are dressed with #10 tinsel. This gives a pronounced segmentation and contrasting flash to the body.